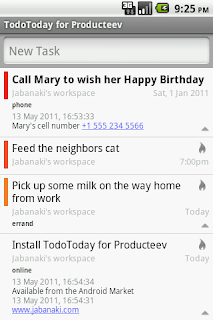 New Release: TodoToday for Producteev brings support for the Producteev online todo manager to the TodoToday family. 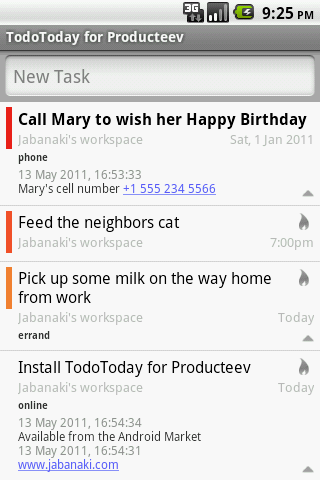 Add new tasks using the Producteev smart task entry syntax e.g. "Call John next week ##phone ***"